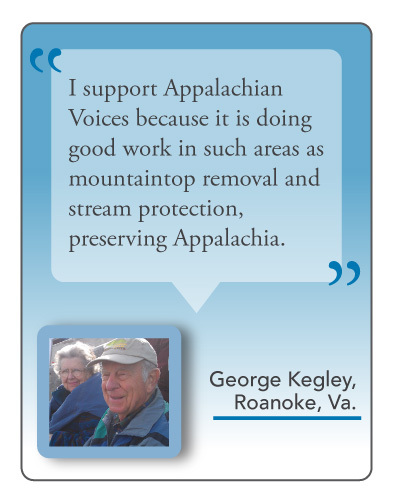 Rich and Lucy Henighan, members of Appalachian Voices since 1999, are making a difference in rural Tennessee. After living in Southwest Virginia, they moved to Seymour, Tenn., in July 1977. They live on five acres in an old farmhouse where they raised two daughters, several dogs and now care for a small garden and orchard. Rich and Lucy helped start the Seymour Farmer’s Market in 2000 and have watched it grow from half a dozen vendors to much more. Lucy is on the board and explains that it is not just about the food — it has also proven to have a positive and lasting impact by connecting people within the community. She has been president of The Friends of the Seymour Library for the last seven years. Each month, the group hosts a program where they share cultural aspects of the region. They also host a popular music series where musicians provide a free live concert outside of the library. The couple are also members of Statewide Organizing for Community Empowerment, also known as SOCM. “They focus on statewide social, economic, and environmental justice issues,” says Rich. Protecting clean air and water was a natural instinct for Lucy, as her family had always cared for the environment. “I can’t imagine a time when I wasn’t concerned,” she says. The Henighans spend their time visiting state parks and searching for wildflowers, and try to stay away from the beaten path. They frequent Pickett State Park on the Cumberland Plateau, near the Big South Fork River area. “There are a lot of rock houses, which are overhanging caves, and the park has the largest arches east of the Mississippi River,” says Rich. Developing a sustainable economy is crucial for the future of Appalachia, according to the Henighans. “I’m encouraged by the number of young people of the region that have taken on the notion of protecting the history, crafts,” says Rich. “And the food!” Lucy chimes in. “Building on those kinds of things are important,” he adds. When it comes to reading The Appalachian Voice, Rich likes to read natural history articles and stories about places to hike or boat where he has never been. Lucy said that reading the newspaper is encouraging and gives her a broader perspective. 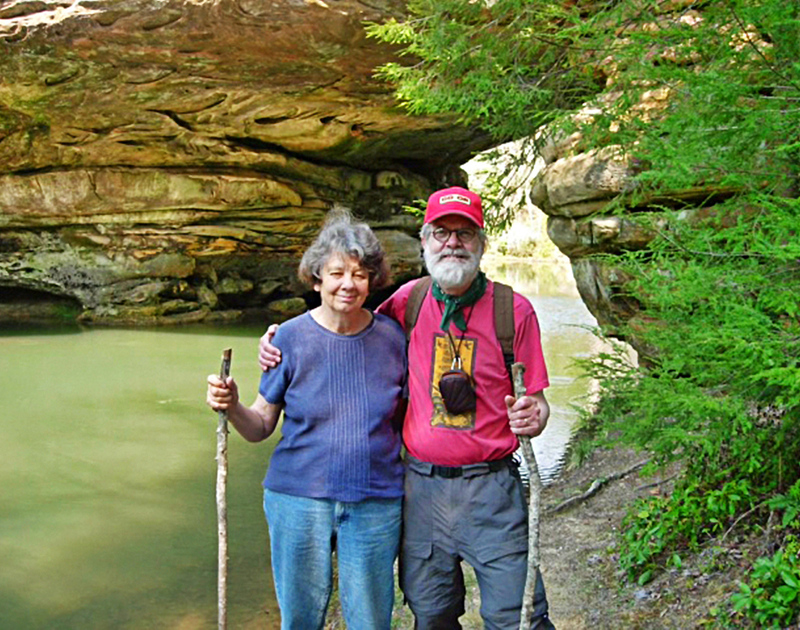 The Henighans feel that Appalachia should be protected because it is unique.